Want to see all the Hachi film locations? While the true story of Hachiko took place in Japan, the movie was filmed in various locations on the east coast of the United States and you can now see them all! 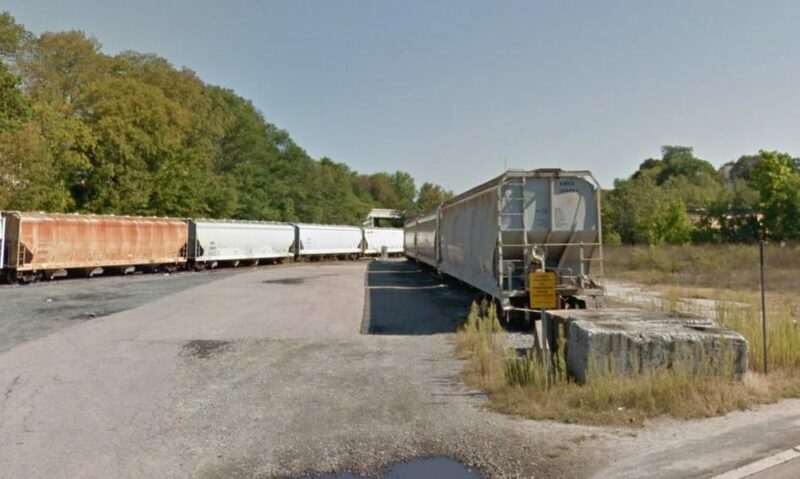 Sira heard that the train tracks (known as the “Slatersville Secondary”) will be removed in the coming years due to maintenance costs (bridges, grade crossings, signaling, etc). Thank you for sharing these images with us! To view location images below, please click location titles. There is a statue of Hachi in the circle where he waited. 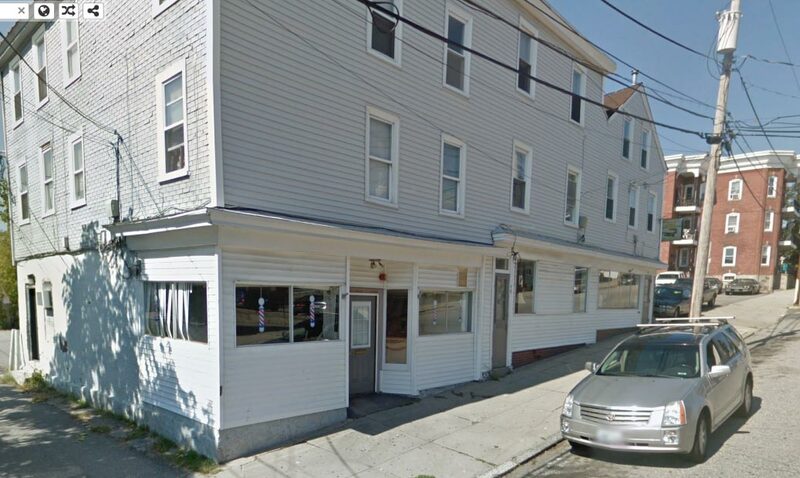 1 High St., Woonsocket, RI 02895. Hachi walks on these tracks after running away from Andy’s home. View of the fork in the train tracks. View from Harris Ave, View from River St.
Embark on a transformational journey that will expand your capacity to enjoy life and all its little gifts. 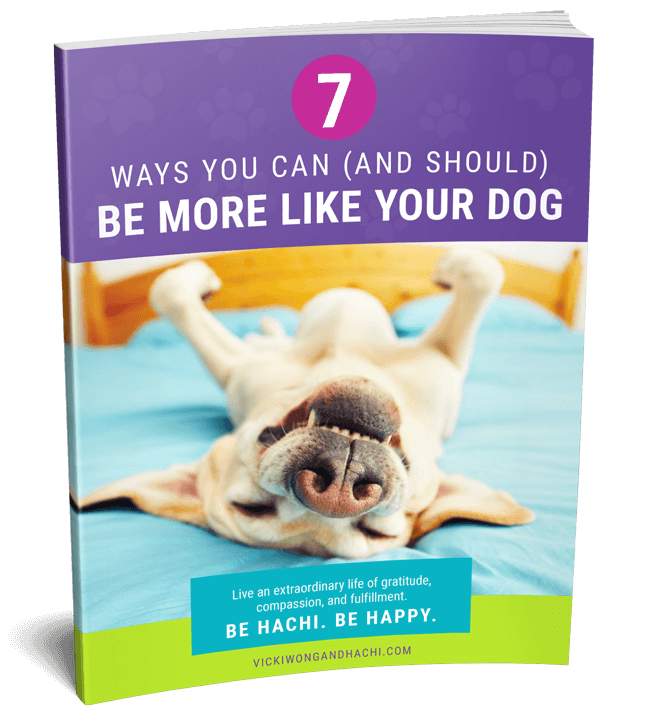 Plus, get our free "Be Hachi. Be Happy" guide: ​7 Ways You Can (And Should) Be More Like Your Dog. I found some old directions given to the crew during filming. The cemetery scene was filmed at the North Burial Ground in Colt State Park, Bristol, Rhode Island. I recall meeting Cary-Hiroyuki Tagawa there for the first time. He was cast as the professor’s friend Ken, and was getting ready for the funeral scene. 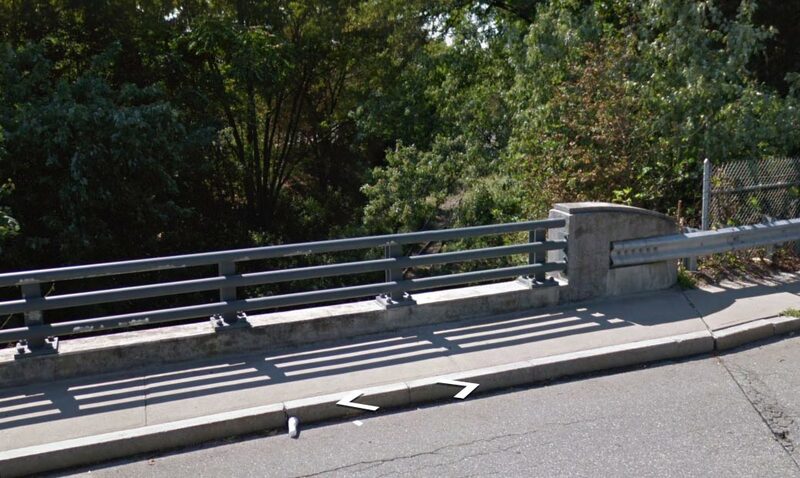 Location where Parker and Hachi run along the water’s edge? It was filmed in Woonsocket along the River Island Park, I believe. This was minutes from the train station. Thank you, Vicki. I think I found it on the map @ Bernon Street on the Blackstone River. Japan filming locations and are they some distance from his Shibuya statue? Hi Chris! I’m not certain where the Japan shoot took place. It was a second separate unit and I was not present. It was a beautiful setting however! Hi Chris! In reference to the station site condition after the shoot- the production company leased the location from the state, and responsible for returning it to original condition. I’m so pleased that the city of Woonsocket chose to honor Hachiko and the film with the statue! It’s a lasting monument to a dog who embodied all the higher qualities we strive to achieve. Hachi was on TV tonight. I live in Covina, CA. I had not ever heard of this movie, but liked the blurb. I didn’t know Hachi’s master would die; I am still choked up over the faithful dog and his death. I didn’t understand why Parker’s wife had to be so hostile to the idea of a dog, or why he was sent to the U.S. Maybe I missed something. Thank you for your insightful comments, as always. Parker was very affected after Luke (previous dog) passed away. Remember Hachi’s monkey toy? It was Luke’s. Parker’s wife was trying to prevent another heartbreak. Thank you for your reply. Sorry I only just caught up with it. I see, because the label was lost, there was no way of knowing why Hachi was sent to the US. That makes sense. Thank you, Chris. It figures! There was Richard Gere and there was Hachi, and the label had only just come off, but Hachi was more-or-less at his destination. It seems to me the sending of the dog to the US was a symbolic gesture, denoting the original animal was in Japan and a film of his life would be made in the US. The opening scenes of the movie are shot in South Korea I believe. The big bell being rung and the train station has Hangul characters on it. The film credits mention Japan. Thanks for the clarification Chris! After the US shoot, a second unit shot the early Hachi scenes in Japan. I am heartbroken because Netflix is removing the movie Hachi from the list of movies to watch as of Sept.1,2016. How sad!!!! Hi Judi, Thanks for pointing out the brick steps. I never noticed it before, and haven’t viewed the film again- but sharp eyes! 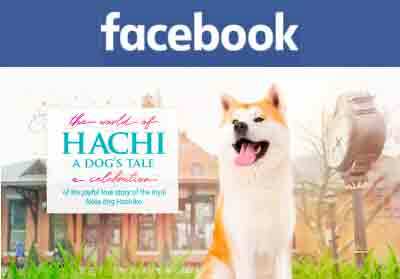 Hachi is a celebration of dogs, cats and all animals, and we even receive emails from people who didn’t like dogs (before)! What wonderful find. I have watched the movie many times and all the information within serves as a great source for a trip this summer. I am a Vietnam vet with PTSD after 48 years dogs have and still help with me with their unending loyalty. But it is a major mystery to me how people can be so cruel to the animals that give unending loyalty in return. 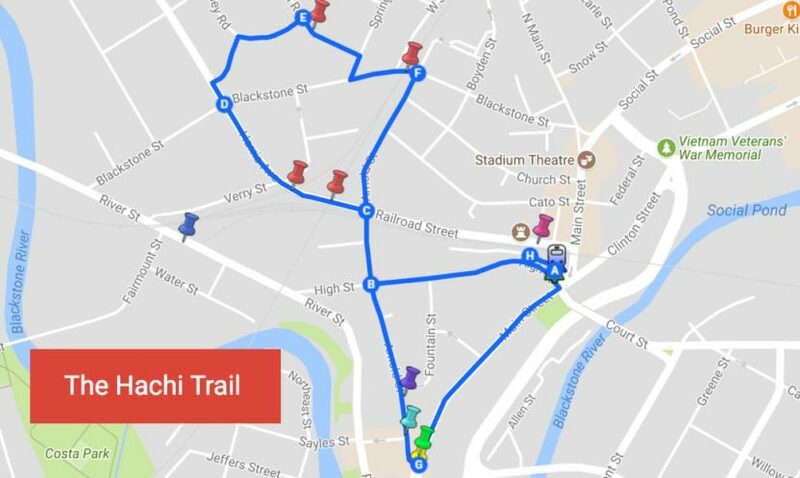 Please check out this Facebook page – https://www.facebook.com/thehachitrail for details to help you with your trip to the movie locations. If you need any further info, you can make a post on that site and I will respond. Chris, that is great! Do you have the exact coordinates? How were you able to figure it out? Hi Chris, thanks! Let me check it out when I have the time. 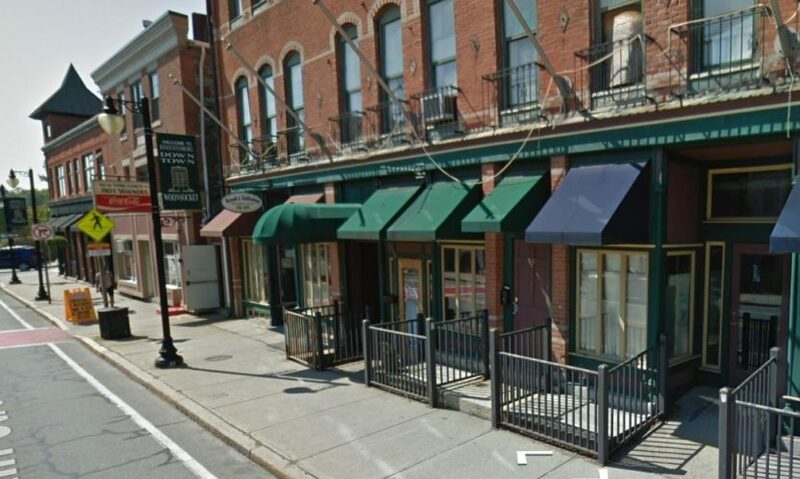 Btw, the location where they old Hachi for the first time is right in front of New York Lunch restaurant on Main St. During our Hachi Trail tour two years ago, I made it a point to walk with my little dog in the exact location where old Hachi walked in the movie. It was almost a religious experience and I am not exaggerating about it. I found some old directions given to the crew during the shoot. It had a diagram of the University of Rhode Island with these notes: the lecture hall was filmed at Edwards Auditorium, the dojo rehearsal scene was in the Fine Arts Center, and Ken’s office was filmed in Green Hall. Thank you I am trying to find out what cemetery it is as well. I live in North Smithfield and I am very familiar with Union Cemetery unfortunately it does not look like that is the cemetery used. In one of the wide shot angles you can see a long road and across the street from the cemetery is a three-tiered white fence. Also the roads in the cemetery end in the T formation. It definitely is an older cemetery it might be one from Cumberland but I cannot find it. Any other suggestions would be incredibly helpful. Thanks for confirming that it is not the Union Cemetery. I went through the footage and the maps several times and could not locate the narrow parallel road next to the wider road on the map. 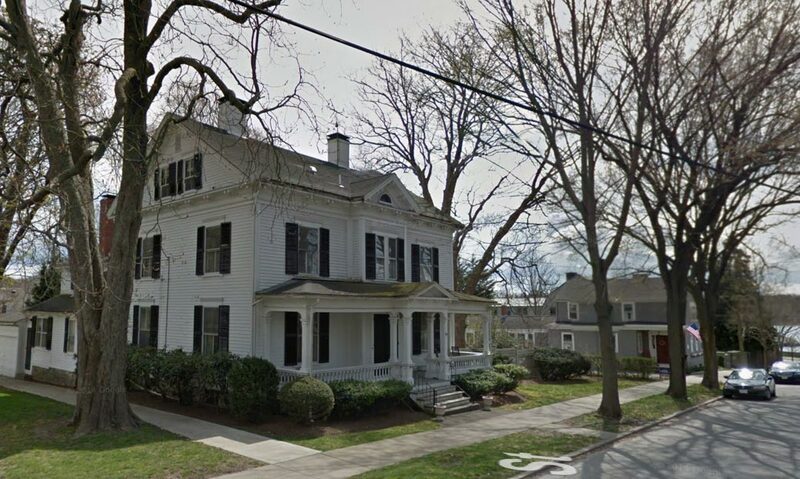 But when we see the location that Vicki mentions – North Burial Ground, Bristol, RI on Bing Maps, it is very clear that is the location. I am still not sure exactly which part of the ground it is. I will have to view both the cemetery scenes closely a few more times before I can make a guess! I was curious about one other location. The cemetery. I believe the one used in the film is the Union Cemetery, located at the very end of Main Street, in Woonsocket. It could well be the Union Cemetery but I was not able to fully confirm it based on the Google and Bing maps info together with the footage from the movie. But it is quite likely that they would have chosen a nearby cemetery for the scene, and among the choices, as far as I can see with the maps, Union Cemetery appears to be the closest match. “Bedridge Barber Shop”. Right across the street from “Bedridge” station. The picture is dated June 2012, i.e. long after the movie was completed. Perhaps the sign remains there to this day. 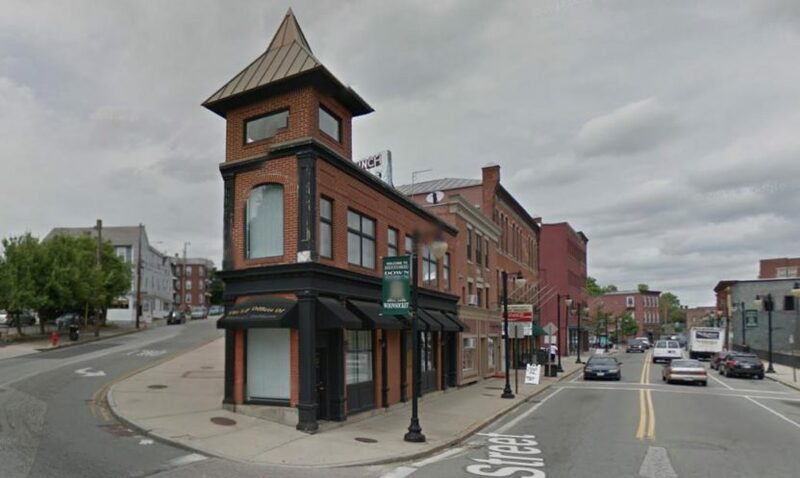 FYI, there is also another Hachi statue at One Depot Square, Woonsocket, RI 02895, placed there and donated by the Beacon Charter High School for the arts. This monument stands where the movie was filmed in 2009. The unveiling and presentation of this memorial was covered in this blog, and was attended by Japanese and US dignitaries. However, personally. I find both statues quite beautiful. Thank you for your interest, we all love Hachi ! Thanks BruceB. Merry Christmas, Happy Holidays and Happy New Year to you too. Yes, it is a good time to watch Hachi during the holidays. I am gifting the DVD to a few of my close friends and relatives. 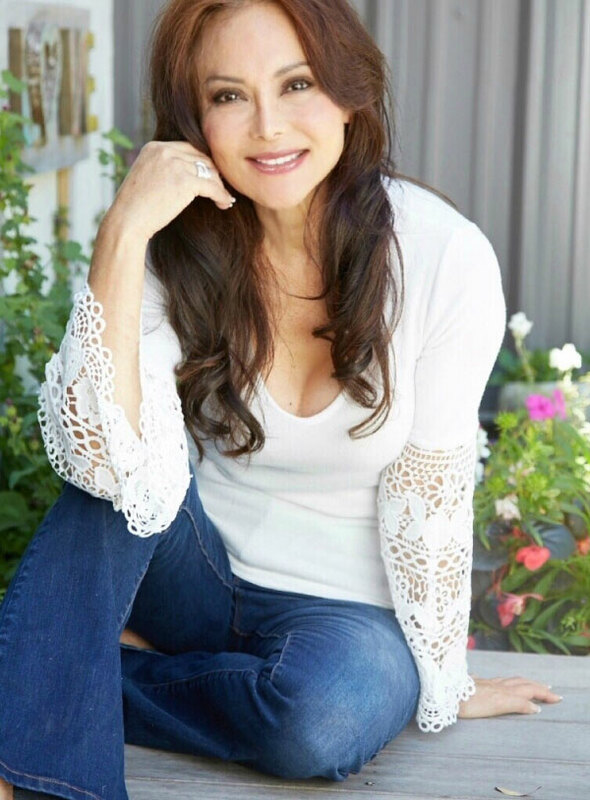 Wishing Vickie and Hachi Fans Merry Christmas, and may your New Year be a Happy and Healthy Year! Take the time to watch Hachi this season, it is always special . In the movie, it is most clearly visible when Cate is walking with Ken, sees the old Hachi for the first time and crosses the road to go down to where Hachi was seated. 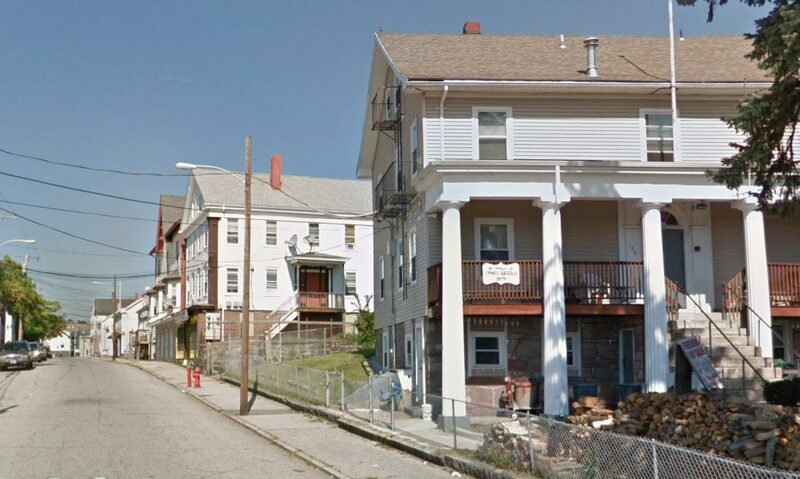 Recently I read a blog by someone who is from Woonsocket and watched production of some of the film. He said in his blog that the circular brick area where Hachi sat waiting was built for the movie. Since the bronze statue of Hachi was placed there in about 2011, the garden wall must have been removed after filming in 2009. As it played an important role in the film, sad it was removed. 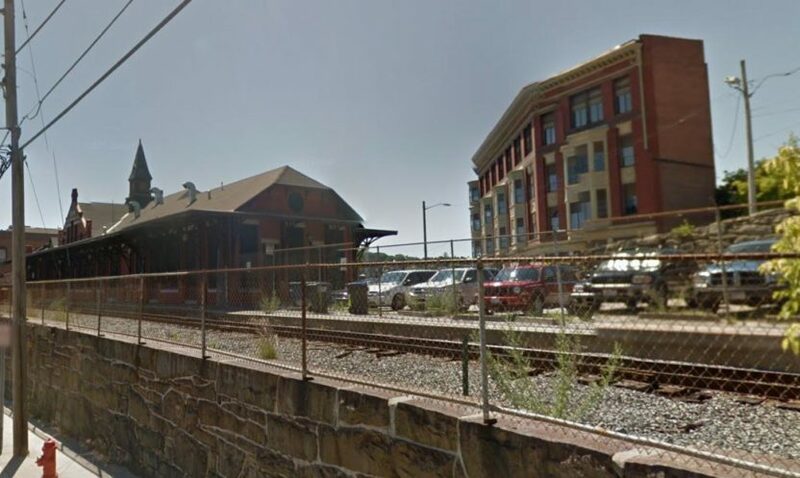 It would have made a nice addition to the depot station area. That was what I heard as well. The larger circular area was removed after the movie was completed. I agree that it would have been really nice if the circle had been left behind! 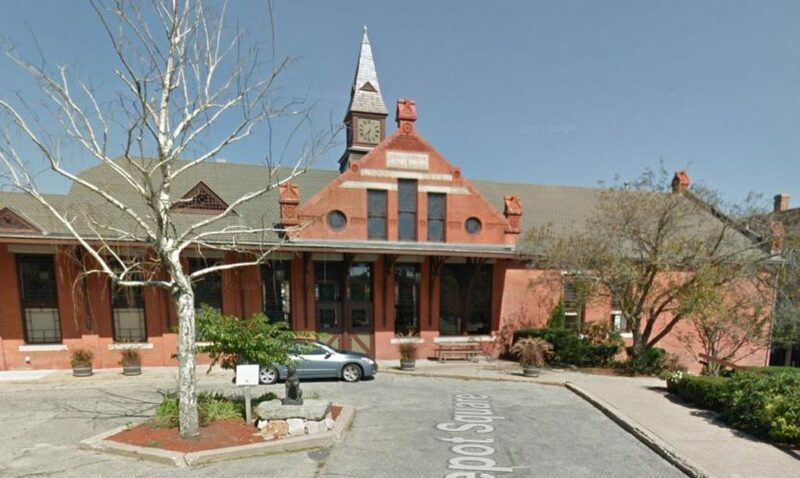 If you look closely at the Woonsocket Train Depot (“Bedridge” Station in the movie) you will see that the low brick wall that Hachi waited on and the statue now resides on, is not showing in current images of the real station. In the movie this was a larger area with room to sit. A much smaller wall, barely above ground level now exists. So it was either a temporary prop or rebuilt to a smaller size after shooting the scenes, perhaps to accommodate vehicle access to the station area. Thanks for providing this Hachi Trail route. Perhaps the city of Woonsocket can make it official. The eight configuration is especially meaningful! Thanks Vicki. I can contact the city about this. But I think you probably already know some of the officials personally. So, it might be easier for you to take this up with them, I think. Thanks Vicki for posting the info about the cemetery. It would have been bad if it was the Union Cemetery and we had missed it during our Woonsocket tour earlier this year! As it turned out, I was not aware of the locations #5 and #6 until a few days before our trip. Our friend in Woonsocket pointed it out to me when I spoke on the phone, and so we included it in our list of places when we made the trip! I think I have located the spot more precisely. 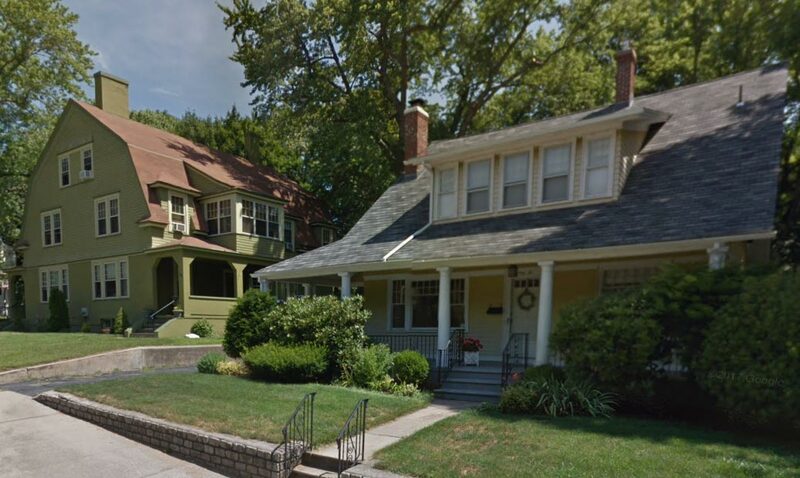 You can plug in 41.687603, -71.282471 on Google/Bing maps and select streetwide view (Bing seems to have a better image). This is the street on which you see a lone van moving along as the funeral is taking place. And the above location is likely the nearest point on the street from where the services were being held. I believe the two cemetery scenes were filmed in different parts of the cemetery (or from different angles at least) in order to give the impression that there were a few more gravestones added during the 10 years from when Parker passed away to the time when Cate revisits the place. There is just one more location that I have not been able to place yet. And that is where, near the very end of the movie, Ronnie gets off the bus and meets his dad, Michael and his little puppy. 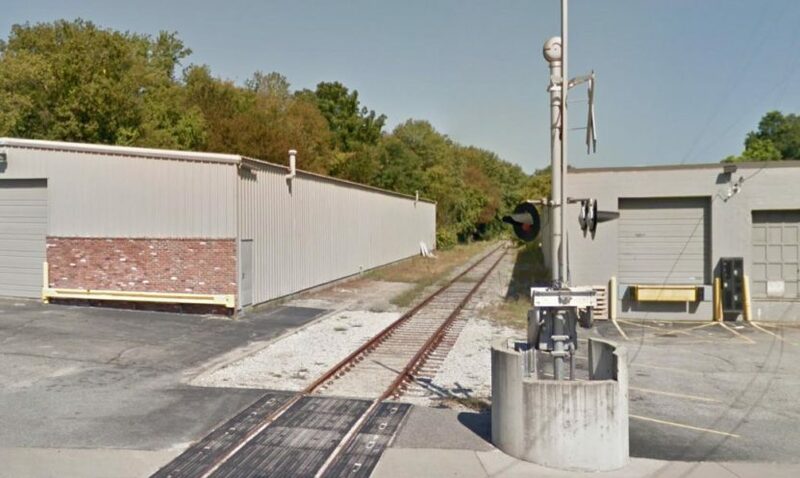 I have searched on Google and Bing in some areas of Woonsocket near the train tracks area (where at the very end, Ronnie and the puppy are walking along the track) but have not found it so far! The Hachi trail map in shaped like an 8. Hi Brad! Yes, and Hachi means “eight” in Japanese… what a coincidence! I live in Woonsocket and am watching the movie again as I’m writing this . I a have convinced myself that Union Cemetery was used in rhe movie . On the other hand , it’s kind of cool to say that Richard Gere walked on my street !! 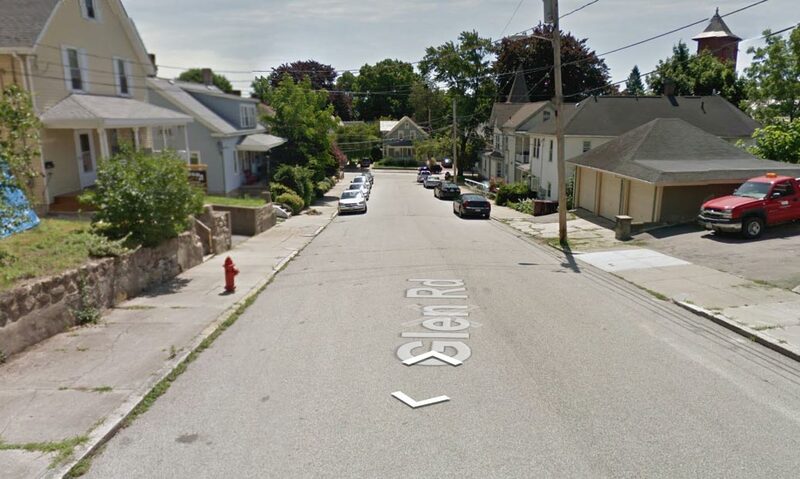 We used a cemetery in Bristol, but rest of scenes shot in your lovely town of Woonsocket! tribute to man best friend. 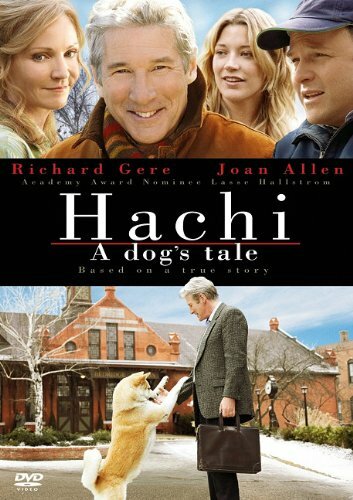 Hachi: A Dog’s Tale was inspired by a combination of Hachikō’s true story and the friendship with my own dog, Hachi, a constant source of joy and comfort. I created this space to share Hachi’s powerful story and all he represents with the world. My mission is to promote compassion and respect for our cherished animal friends.